Our menu includes daily fish, pasta and entrée features. Stay updated by following us on Facebook. At Abruzzi Ristorante we serve Italian inspired cuisine with a commitment to using local and sustainable foods. We work together with local farmers and growers to source products that boast both integrity and flavour and then incorporate these seasonal offerings into our menu. Our value driven wine list, like our food, is never static and changes with the seasons. Labels range from interesting newcomers to old world classics and local wines from Niagara, and other small production regions and winemakers who put as much effort into their wines as we put into our food. Check out out our menus and the wine list below and stay updated with whats happening in both our kitchen and our cellar by following us on Twitter or Facebook. You'll be the first to hear about our daily fresh fish, pasta and entrée features! We combine our passion for the art of food with gracious hospitality: Abruzzi has a laid back unpretentious setting, part neighbourhood bistro, and part elegant Italian Ristorante. Warm hues and soft lighting encourage guests to settle in, get comfortable and have a great time! The Abruzzi experience is about more than just food, it’s a sincere effort from all our staff to make your night as enjoyable as possible. We go to great lengths to make out diners feel at ease, comfortable and well taken care of. For reservations please call us at 519.675.9995. For more ways to connect and stay updated check here. 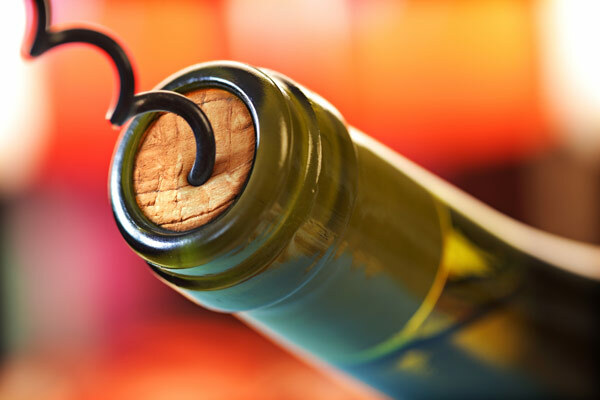 Personal wines are welcome at Abruzzi but please note a corkage fee applies. Please call ahead for details. There is an Impark parking lot on King St. east of our location; or park underground at Covent Garden Market. From our suppliers to our chefs and the team at the front of house, Abruzzi is about quality and experience from beginning to end. Named for the famous Abruzzo region of central Italy, here at Abruzzi Ristorante, we offer our interpretation of both modern and traditional Italian cuisine. Our philosophy is straightforward: to source the freshest and finest local ingredients, to prepare them with a commitment to simple but exceptional flavour, and to serve our patrons with joy and love. It all starts in the heart of our restaurant - the kitchen. The cuisine at Abruzzi blends precise technique with the ingredients and comforting feel of an Italian kitchen. We rely on organic farmers, sustainable fisheries and the oldest water powered flour mill in Canada for our exceptional produce, sourced locally and in season. A focus on freshness and respect for every ingredient is paramount to our process. The menu offers our take on traditional preparations ranging from spaghetti and ravioli to classic duck and simply grilled fresh fish. We honour the Italian culinary tradition of making our own fresh pastas, pizzas and breads while whole lambs and pigs are broken down to make our famous pancetta and countless seasonal braises. Rustic ingredients like bison and game are artfully coaxed into dishes with deep, savoury flavours. Desserts are beautiful renditions of Italy’s classics: light, lush and decadently irresistible. 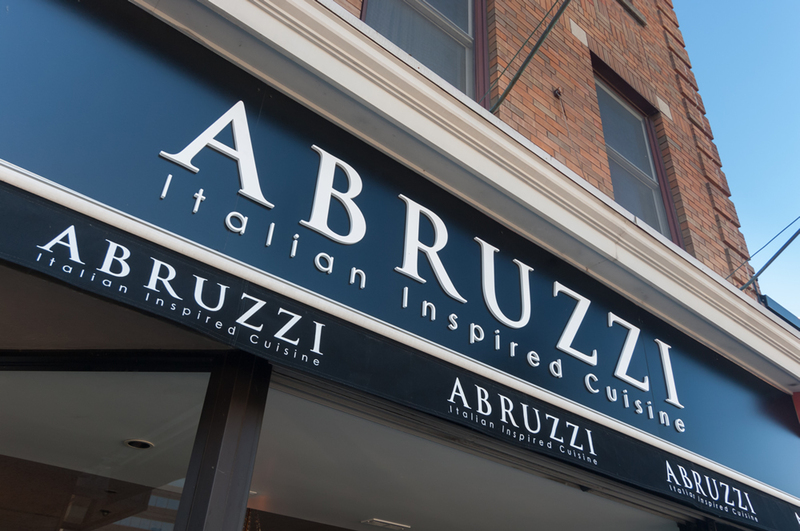 Abruzzi provides a gracious dining experience that reflects the best of both Italian and Canadian hospitality. Our knowledgable and dedicated team will ensure your visit is a memorable one with unobtrusive but attentive service. Please note that reservations are essential to ensure a table, but walk-ins are welcome at our bar where we invite you to enjoy our signature martinis. Our wine list is constantly evolving and focused on smaller, unique producers. We invite you to join us, share a meal and a glass of wine at our table.